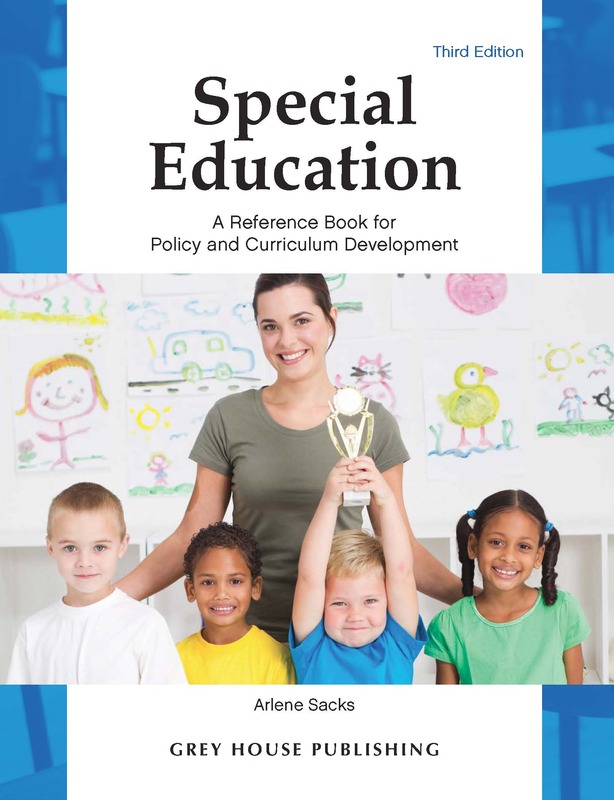 The widely-acclaimed Complete Resource Guide for People with Disabilities is an invaluable resource for all those committed to empowering individuals with disabilities. All those with a disability, from vision problems to physical disabilities to asthma, will find ways in this Directory to succeed at work, in school, and in their community. Coverage continues with 21 subject-specific sections, from Arts & Entertainment to Vocational & Employment Programs; 3 sections of Rehabilitation Facilities; and 9 disability-specific sections, from Aging to Visual. Most sections include a range of resources, including Associations, Products, Camps, Living Facilities, and Print and Electronic Resources. The comprehensive Table of Contents guides you through the 33 chapters and more than 100 subchapters contained in this rich resource. Sure to save hours of Internet research time, this title provides comprehensive, critical and immediate information in one source that can be accessed quickly and easily. This edition provides 9,073 descriptive listings, 24,079 key contacts, 7,614 fax numbers, 5,963 email addresses, and 8,102 web sites. New to this edition is an appendix of state-by-state statistics from the 2017 Annual Disability Statistics Compendium. The first part of this section includes tables that provide numbers of disabled individuals by state, and by disability—hearing, vision, cognitive, ambulatory, and self-care and independent-living disabilities. The second part of this section includes state-by-state numbers of individuals who are employed, also broken down by the six disability categories listed above. Entry & Publisher Index lists all directory listings alphabetically. Geographic Index organizes listings alphabetically by state. Subject Index alphabetically organizes directory listings by relevant topics, i.e. autism, language disorders. 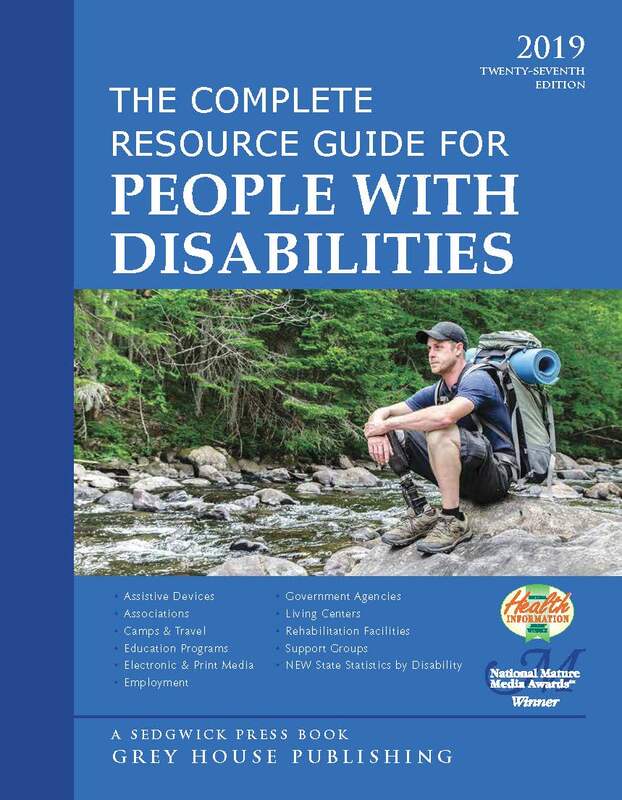 Each year, more libraries, schools, colleges, hospitals, rehabilitation centers and individuals add The Complete Directory for People with Disabilities to their collections, making sure that this information is readily available to the families, individuals and professionals who can benefit most from the amazing wealth of resources cataloged here. With a subscription to the online database, users can access this wealth of information in just minutes. With the keyword search, quick search and expert search on GOLD, users can quickly and easily find the information they're looking for. Plus, subscribers can do quick or in-depth searches, save their searches, save search results, sort search results, view company profiles, download contact sheets, click through to email and web hotlinks, and so much more. Call (800) 562-2139 to set up a tour of the online database. Business buyers are also encouraged to visit the website or call for free online access options. 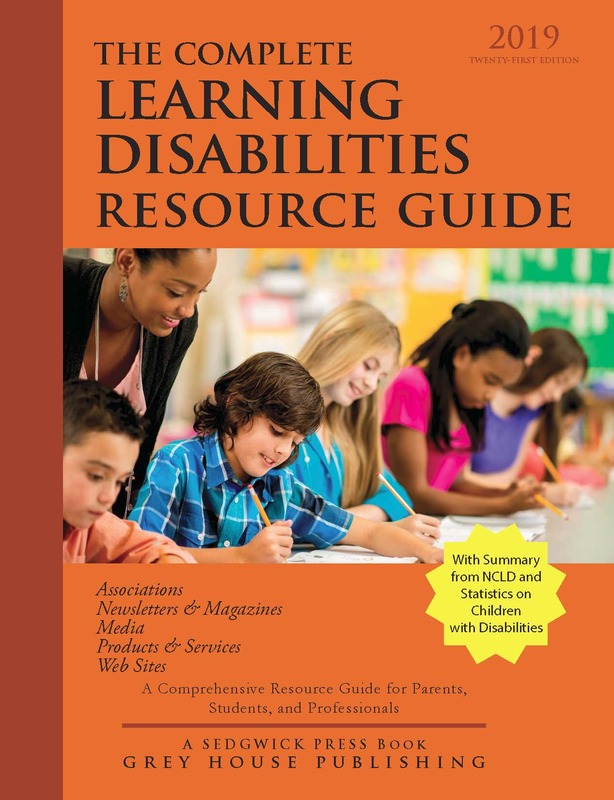 “ “Reliable and comprehensive, this resource offers coverage of an extensive range of products and services for people with disabilities…"
Published for over a decade, The Complete Learning Disabilities Resource Guide continues to be a successful, sought-after resource, providing valuable information to professionals, families, and individuals in the learning disabilities community.